Virtual reality (VR) is all the rage. Premium publishers like USA Today, the New York Times, and AOL are jumping on the bandwagon to prepare. Google is working on a VR version of Chrome. NBC and Samsung are broadcasting the summer Olympics in VR. Hulu, Crackle, Jaunt, and Within (formerly known as VRse) already have dedicated apps, or “theaters,” where viewers can consume massive amounts of VR content. Other media powerhouses and film studios including Live Nation, Vice Media, 21st Century Fox, and the Walt Disney Company are placing big bets on VR with large scale investments. But when will brand dollars move to VR, and what moves should marketers be thinking about making now? One thing is for certain: 30-second spots will not be the most efficient way for brands to get on board. Instead, we will likely see more branded entertainment interspersed with chunks of VR sponsored content along with more seamless brand integrations within stories. VR is especially well-suited for the latter scenario because it allows viewers to choose how they see content. Brands could trigger engagement by allowing viewers to interact and zoom in—telescopically—to experience more in-depth branded content and then zoom back out to the main storyline. This potential for immersive storytelling may very well take branded entertainment to a whole new level. Imagine LG showcasing a new line of mobile devices in a video ad with hotspots. Viewers could zoom into one of the phones to play with a realistic, 360-degree model of the device or even watch a video shot with that new device, thereby zooming into an entirely new storyline within the ad. VR is the quintessential medium for this type of captivating content. 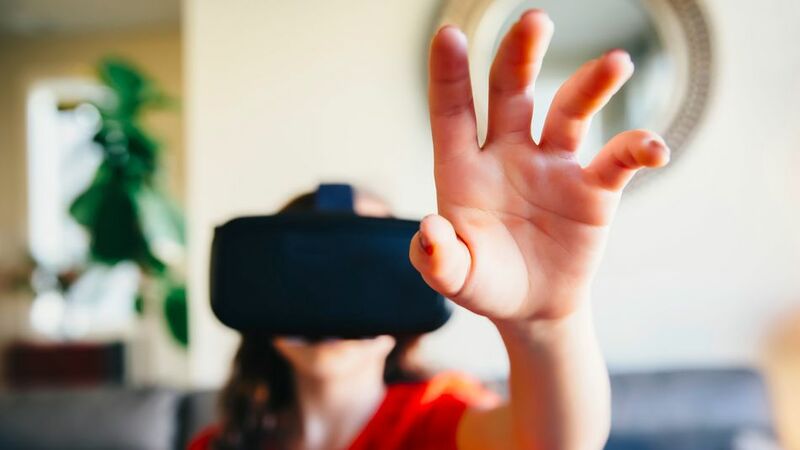 Brands that succeed at connecting with consumers within this newfound VR world will do so by dreaming up immersive experiences rather than trying to work VR into an existing campaign. Many brands are already tinkering in the branded VR entertainment space. Gatorade, Honda, and Audi are fully producing short VR videos. While the traditional big spenders in storytelling—Hollywood studios—sit on the sidelines to experiment with VR, marketers are diving in head first to create immersive ‘bursts’ of content that will help boost a brand’s story. That’s a massive shift. Virtual reality by definition intensifies the impression of reality. All of the viewer’s senses are heightened including sight, sound, and motion; content that delivers fully immersive experiences will be in high demand. Anything that makes the viewer feel as though they’re actually inside the video—whether sitting courtside at a basketball game or watching a professor lecture from the front row of a classroom—will capture interest. In theory, the more a viewer perceives that they are physically present in a certain situation, the more the experience may feel like a human memory once completed. Imagine how this could drive brand recall. The flipside is that fatigue from advertising within VR will also be amplified. The technologies that make interactive features possible for flat, internet-based online video are working well now, but the experience could really come alive if and when it is developed with VR in mind. At the very least, tapping buttons in the VR world should be rewarded with more immersive content. Better yet, head tracking will signify engagement more than any other measured metric. Yes, branded entertainment and VR are practically made for each other but the combination of branded entertainment, VR, and interactive video (including everything we can now do plus all its rising possibilities) will transcend into marketing success beyond any marketer’s wildest dreams. The key for marketers will be to focus heavily on creating the best user experience possible. Even if marketers create amazing VR content, we still have a fundamental discovery problem. At the moment, users need to download several different apps within their VR gear to see virtual reality content. For brands, this makes zero sense. Instead, VR content will likely go the native route and appear as playlists within publishing infrastructures. For example, audiences visiting FOX Sports online may someday soon see a dedicated menu option or channel with extreme sports VR content from brands like GoPro or Red Bull. Some of these videos may be original while others will be sponsored.